Paintball is a game, in which players compete, in teams or individually, to eliminate opponents by hitting them with capsules containing paint from a gas-powered device called a paintball marker. A game field is scattered with natural or artificial terrain, which players use for strategic play. 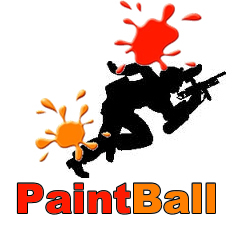 Rules for playing paintball vary, but can include capture the flag, elimination, defending or attacking a particular point or area, or capturing objects of interest hidden in the playing area. Depending on the variant played, games can last from seconds to hours or even days in scenario play.